Established in 1945 under the Charter of the United Nations, the UN General Assembly occupies a central position as the chief deliberative and policymaking organ of the UN. Notably, the General Assembly is also the most representative organ of the UN, being the only one in which all 193 Member States have equal representation (each Member State has one vote). Last week, Eritrea’s Foreign Minister, Osman Saleh, addressed the seventy-third session of the UN General Assembly. During his address, in which he noted the encouraging recent peace initiatives unfolding across the Horn of Africa, Saleh called for sanctions against Eritrea to be lifted, describing them as “unwarranted.” This is hardly controversial, as the pretexts for the sanctions are – and have long been found to be – nonexistent. It is also worth bearing in mind that there have been numerous calls for the removal of the sanctions, first imposed in 2009 and then expanded in 2011, including from Eritrea’s regional neighbors, Ethiopia and Somalia. Interestingly, however, Saleh went on to conclude his address by asserting that Eritreans “are asking and deserve amends for the damage incurred and opportunities forfeited [due to the sanctions].” While the Minister’s call for amends may at first raise some eyebrows, closer consideration reveals it is not unreasonable. Specifically, with the sanctions being unwarranted, and unjustifiably broadened and extended, one could credibly argue that amends should be provided in order to address the years of lost opportunities and the loss of earning potential due to the sanctions. Over the years since their initial implementation and subsequent maintenance, sanctions on Eritrea have “scared off” or discouraged many potential international investors, thus considerably hindering the country’s efforts at job creation, economic growth, and development. It should also not be overlooked that the sanctions on Eritrea have been coupled with a wide ranging campaign by some powerful states to dissuade interested countries and businesses from engaging with Eritrea (economically or otherwise) and to block the developing country’s participation in important economic or security forums. For example, according to leaked US embassy cables, the German government’s rescinding of a credit guarantee to Eritrean banks for a commercial loan of $US146m to Eritrea’s Bisha mining project was the result of “caving in to…American pressure,” while other loan and assistance packages outlined for Eritrea (e.g. from the European Commission) were heavily questioned or discouraged. Of course, international investment decisions are made based upon a variety of different criteria, not solely according to whether a country has been slapped with sanctions (such as local regulations, taxation polices, market size, crime, corruption, etc.). However, it is difficult to suggest that the unwarranted sanctions, as well as the efforts to dissuade potential partners, had no bearing upon the reluctance or apprehension on the part of some foreign companies or countries to invest in or engage with Eritrea. Beyond financial compensation or other material support (e.g. reconstruction projects, livelihood assistance programs, community aid, etc. 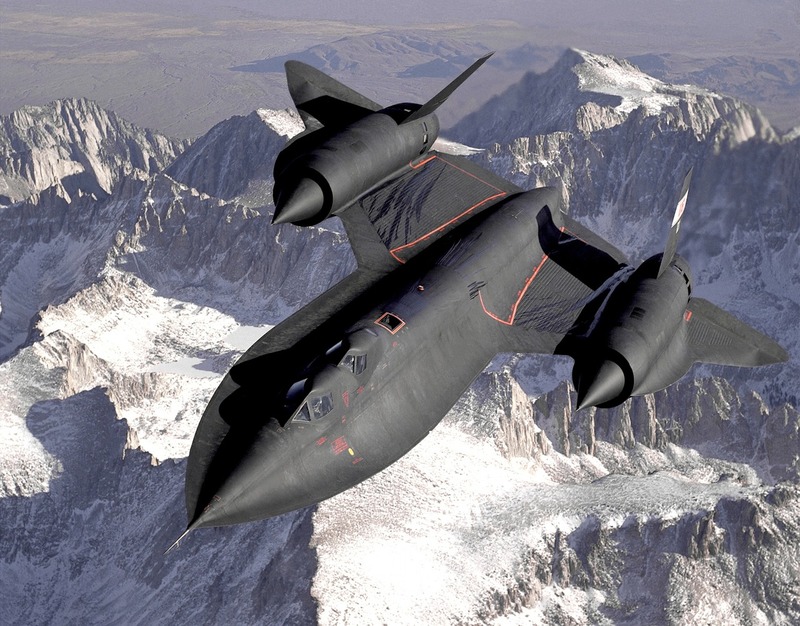 ), amends for the unwarranted sanctions could involve any of a number of different measures. For example, amends could involve a public apology, including the acknowledgement and acceptance of responsibility, for violating the country’s sovereignty and the rights of its people. 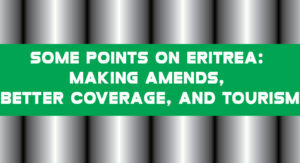 Amends could also be providing clear verification of the facts and a full and public disclosure of the process that led to the initial implementation and subsequent maintenance of unwarranted sanctions against Eritrea. Last, amends could involve the establishment of accountability measures or creation of reformed transparent frameworks, guidelines, and mechanisms to ensure that similar unwarranted, unjustified actions do not occur in the future. Kudos to Fredrick Golooba- Mutebi, author of the recent article, “Ignore the Naysayers, Asmara is not Reclusive and Is Open for Business”, featured in The East African. Golooba- Mutebi recently spent several days in Eritrea exploring the country and speaking with its people. Compared to the usual coverage of Eritrea, which regurgitates tired clichés and promotes prejudices, ultimately providing a biased, skewed vision of the country, Golooba-Mutebi’s article was a reinvigorating breath of fresh air. Generally, the discourse on Eritrea is sensationalist, one-sided, inaccurate, marked with half-truths and devoid of context or nuance, serving to characterize the country as an arena of barbarity and completely lacking in basic humanity. While there is certainly little doubt that Eritrea faces numerous and considerable challenges within many areas, it is too often criticized for or understood solely in terms of what it has not yet achieved. The significant advancements and important progress it has made in many areas within a short period are simply dismissed or overlooked. However, Golooba-Mutebi debunks many of the clichés, nauseating stereotypes, and longstanding assumptions and distortions plaguing most mainstream coverage of Eritrea to provide a more accurate, reliable account of the country. In an age of fake news, where there is a growing – and often justified – public suspicion about the impartiality, accuracy, and integrity of the news, it is good to see journalists that recall that the highest and primary obligation of ethical journalism is to serve the public and provide coverage that is balanced, honest, and contextualized. I thoroughly enjoyed the article, “Tourism for Peace and Peace for Tourism”, featured in last week’s edition of Eritrea Profile. Here, I briefly discuss some of the points raised within the article, primarily to extend the conversation about these significant topics. Indeed, Eritrea’s travel and tourism industry has incredible potential to help generate growth, create much needed jobs, and support socio-economic development. However, although it is abundantly clear that Eritrea has enormous potential through its rich natural resources and cultural heritage, pristine beaches and beautiful coastline, warm and hospitable climate, general cleanliness and security, welcoming people, and considerable archaeological and historical sites, the country is still, for the most part, in the early stages of its development for travel and tourism. Importantly, the peace initiatives rapidly unfolding throughout the Horn of Africa are a significant development and hold much promise. Peace and stability, for obvious reasons, are prerequisites for tourist visitation, while increased tourism, particularly at the regional level, should have a positive impact on peace. Research suggests that tourism can be a strong force for peace, with causal mechanisms operating both at the individual and state level. Meeting diverse peoples and experiencing other cultures via tourism can play a critical role in broadening minds and opinions, promoting tolerance, and supporting intercultural understanding (D’Amore 1988; WTTC 2016). As well, in order to help fulfill Eritrea’s considerable tourism and travel potential and make it (more) attractive to international tourists, the country can focus on addressing several key issues, including: travel facilitation and ease of travel policies (this challenge is not unique to Eritrea, as air travel remains inefficient throughout the region); delivering the highest standards of customer service to visitors, particularly within accommodation, food, and transport services; continuing to improve the country’s infrastructure, such as roads, hotels, and airport facilities, in order to deal with increasing arrivals and improve visitor experiences; and better communicating, marketing, and leveraging the country’s rich cultural resources, numerous archaeological and historical sites, and various other attractions. Ultimately, peace and stability across the Horn of Africa should significantly contribute to tourism and travel, while tourism and travel should help to strengthen peace. Moreover, through addressing the issues and challenges outlined above, Eritrea may hopefully be able to fully achieve its vast travel and tourism potential and become a highly competitive travel destination.